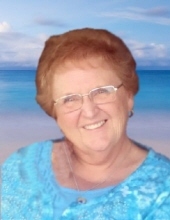 Barbara Sue Gates, 73, of Elwin, IL passed away on Saturday, February 9, 2019 in Fort Myers, FL following an automobile accident. A service to honor and celebrate Barbara’s life will be held at 3:00 p.m. on Saturday, February 16, 2019 at Dawson & Wikoff Funeral Home, Macon. The family will receive friends for a time of visitation from 1:00-3:00 p.m. on Saturday. Barbara will be laid to rest in Mt. Gilead Cemetery. Memorial contributions may be directed to Cancer Care Center of Decatur in honor of the Gates family. Barbara was born on April 4, 1945 in Seminole, OK, the daughter of Warren Gene and Sue Beatrice (Steele) Harness. She married Roger Lane Gates, Sr. on July 1, 1961. He preceded her in death on June 2, 2018. Barbara was a homemaker, beautician and was a member of Elwin United Methodist Church and the Firestone Widows Club. She enjoyed Bingo, quilting, crappie fishing and spending time with her family. Barbara is survived by her children: Dawn Gates and her significant other Bruce Bushert of Maroa, IL, Roger Lane Gates, Jr. and his wife Darla of Murfreesboro, TN, Darren Gates and his wife Kristy of Decatur and Sheila Highcock and her significant other Drew Morris of Decatur, IL; sister: Wanda Haley of Carmi, IL; grandchildren: Misti Dulik, Brandon (Ashley) Dulik, Karah (Antron) McFarland, Leah Gates, Kyle Gates, Hallie Gates, Braden Highcock, Mikayla Highcock, Alysa Bushert, Jillian Bushert and Naomi Bushert; great grandchildren: Natalie Reynolds, Payge Dulik, Cullen Gates, Kya Polk, Karissa McFarland and Aria Highcock; Barbara’s beloved pet Jazmin. She was preceded in death by her parents, husband, brother: John Harness and her two brothers-in-law: Drew Haley and Richard Gates. "Email Address" would like to share the life celebration of Barbara Sue Gates. Click on the "link" to go to share a favorite memory or leave a condolence message for the family.